"Your dreams are on the other side of your grit." At the beginning of January 2017, Spark signed a lease on our first space. We are grateful to the generosity of Becky's Academy of Dance, Katy Visual and Performing Arts, Koenig School of Dance, Cypress Elite Dance, St. Sava Orthodox Church, Fellowship of Champions Church, and Texas Repertory Theatre for sharing their facilities with us and enabling us to grow enough to get a space of our own! After two years of being a traveling circus, we were elated to say the least! Then came the daunting task of renovating! 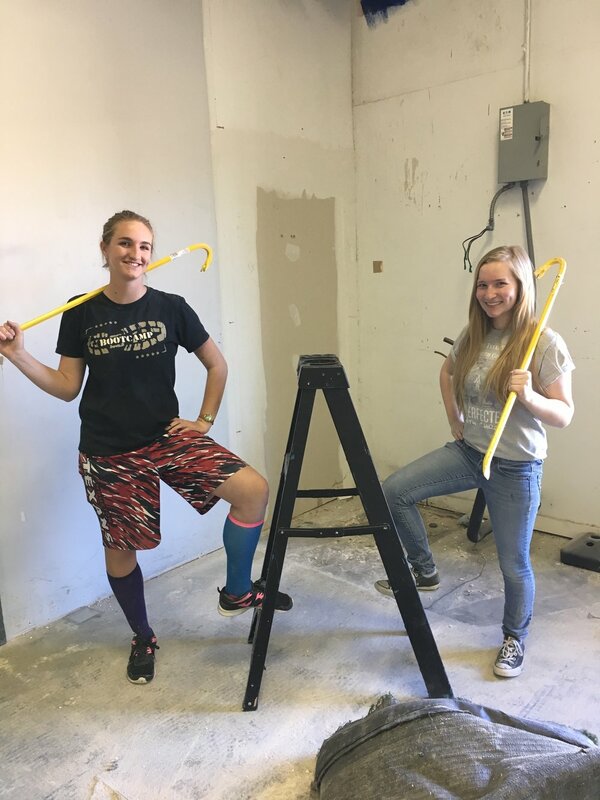 With blood, sweat, and volunteers, the staff at Spark has been working tirelessly to renovate the front end of our studio, complete with a large lobby and student area, two dance rooms, an art room, two bathrooms, and two private music rooms. Our goal to have our studio open by February 6th was met loosely with a few minor projects remaining. 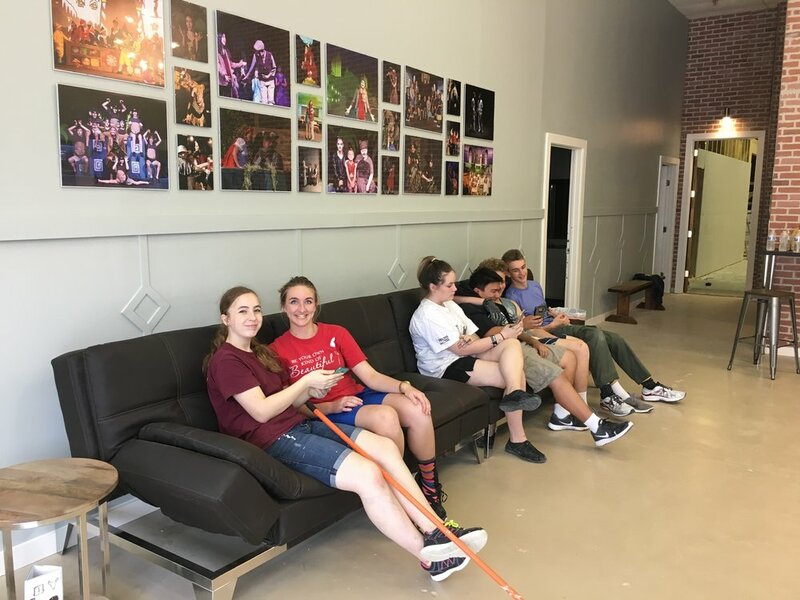 After completion of our first effort, the staff of Spark and our mighty volunteers went into the renovation of the back side of our space (our eventual in house theater) feeling a bit overwhelmed and exhausted. Enter the heroes of our story . . .
A couple of months ago, Thomas Adams, who plays Tevye in our upcoming production of Fiddler on the Roof, came to us with an idea. 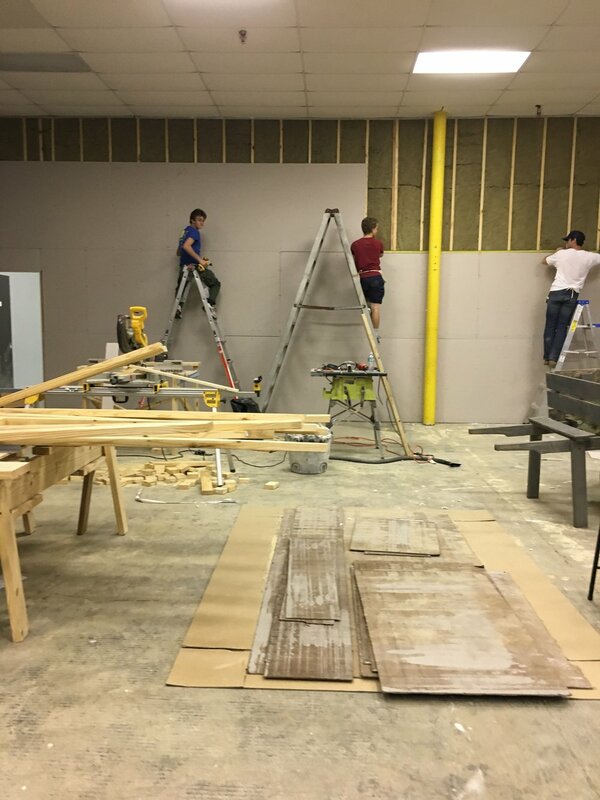 He expressed that he would like to take on the construction of part of our theater as his Eagle Project. After speaking with his family, we decided to set aside time during spring break to begin this project. On the morning of day four, we have a confession to make; we grossly underestimated these kids!! Their work ethic has been unmatched! 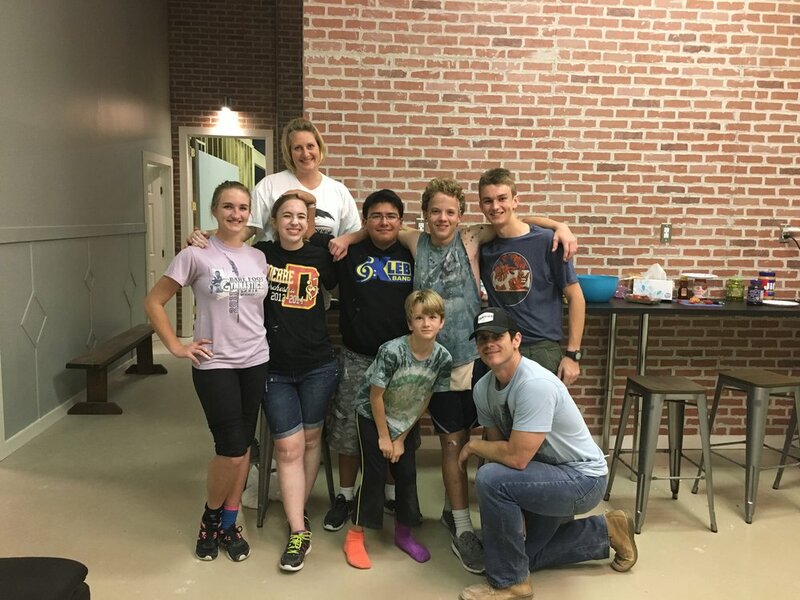 They entered like a force with mentors and teen volunteers alike and have performed nothing short of a miracle! 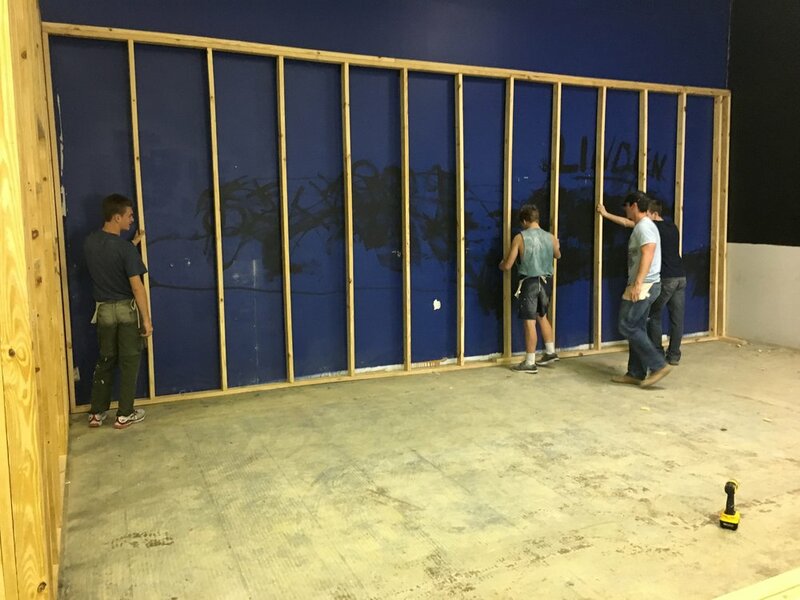 They have helped frame walls, hang sheetrock, taped and floated dry wall, sanded, painted, etc. It has been inspiring, to say the least, to witness the dedication and grit of these young teens! They have lit a fire in our team and have given us the strength and energy to trudge forward into what seemed like an impossible feat! Due to time constraints on this project, we have not been able to raise funds for its completion. We have been comparing each day to manna from heaven as we continue to be able to purchase the supplies needed for one day at a time. Key people have shown up at just the right time to step in and instruct and build just as we are ready. Each day there are more teenagers that show up and get excited to help! 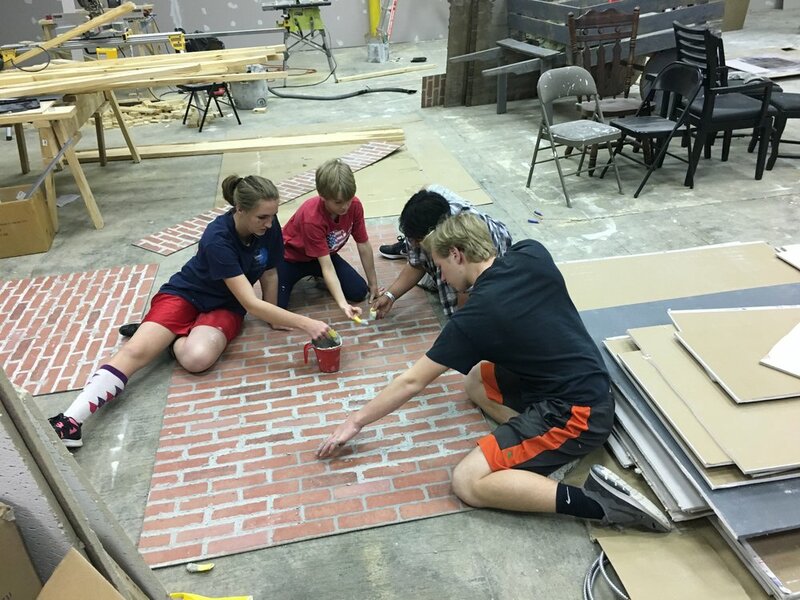 Their spark has truly turned into a flame and they are determined to get our theater performance ready! 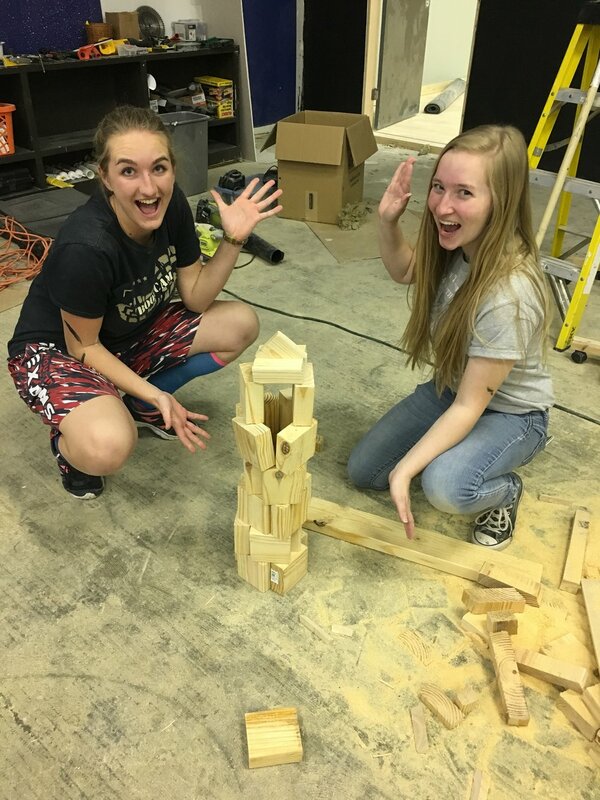 We love that the students in our organization are literally making the completion of our theater a reality much sooner than we had anticipated. We are asking that you donate to their efforts and please share this story with your sphere of influence. These kids deserve to be able to see this through as they are more than willing to put in the work. In a day of entitlement, it has been refreshing to see such character exemplified in these young people. We have been humbled by their service and dedication. Enjoy some pics from this week! 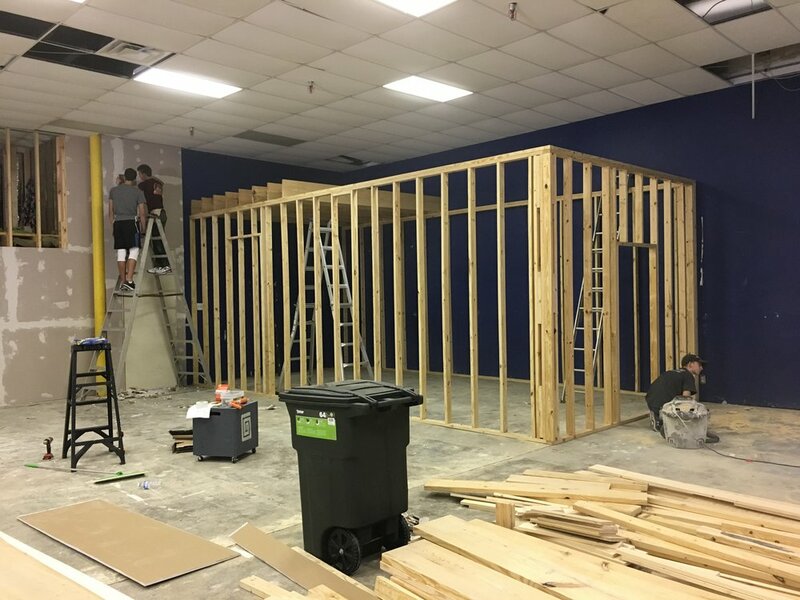 Below are a few more pics of the first phase of our renovation. More after pics to come! !